Apps from the Angry Birds game series were downloaded 648 million times by the end of last year. ANGRY BIRDS is officially a $100-million-a-year business. Rovio announced today that it generated $106 million (€81.3 million) in revenue from sales of the Angry Birds games and merchandise in 2011. By comparison, the company got just $7 million (€5.4 million) in revenue during the second half of 2010. Earnings before taxes was $67.6 million (€52 million). Rovio’s increase in revenue is due both to the growing popularity of the games as well as the company’s push into merchandising and licensing agreements. The Angry Birds apps had been downloaded 648 million times as of the end of 2011, and there are currently more than 200 million active monthly users. Meanwhile, Rovio reports having more than 200 licensing partners helping it to expand the Angry Birds franchise. According to Rovio’s statement, about 30 per cent of last year’s revenue came from merchandise sales and licensing agreements, showing the potential apps have to make money outside the app store. The company has used some of that extra revenue to expand their operations. Rovio increased the number of employees tenfold last year, going from 28 employees in the beginning of the year to 224 employees by the end of 2011. 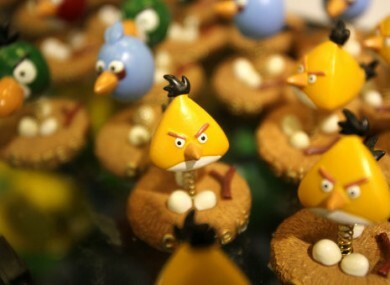 Email “Angry Birds generates over €80 million for creators Rovio”. Feedback on “Angry Birds generates over €80 million for creators Rovio”.